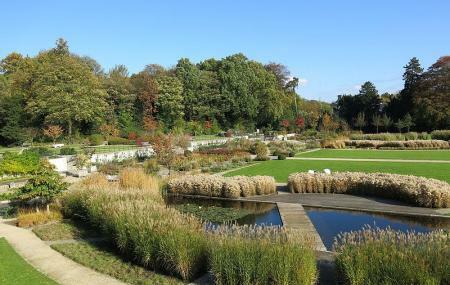 Find hotel near Jardins Du Fleuriste Du S ..
Leopold II wanted a 7 hectare horticulture garden on this site. In 1999, it happened, a public park made of multiple little gardens. The real delight here are the balconies that give terrific views all the way to the Palais de Justice. In spring the whole place explodes with the color of flowering bloom. It’s pretty in winter too. How popular is Jardins Du Fleuriste Du Stuyvenberg? People normally also visit Planetarium while planning their trip to Jardins Du Fleuriste Du Stuyvenberg.